Wow, 2012 starts with a bang! So many contests and good news to readers! This year, Ensembles hopes to meet more of their fans and reward their loyal followers. How? 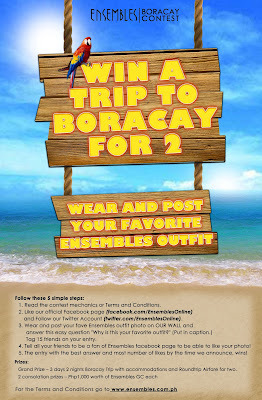 They are giving away an ALL EXPENSE PAID BORACAY TRIP for TWO! Join Ensembles Facebook Photo Contest this January 16 and reach for 20,000 Facebook Likes. Upload a photo of you wearing your favorite Ensembles outfit, and tell them why you chose that photo and ask your friends to like it. The entry with the best answer and most number of likes by the time they announce will win! 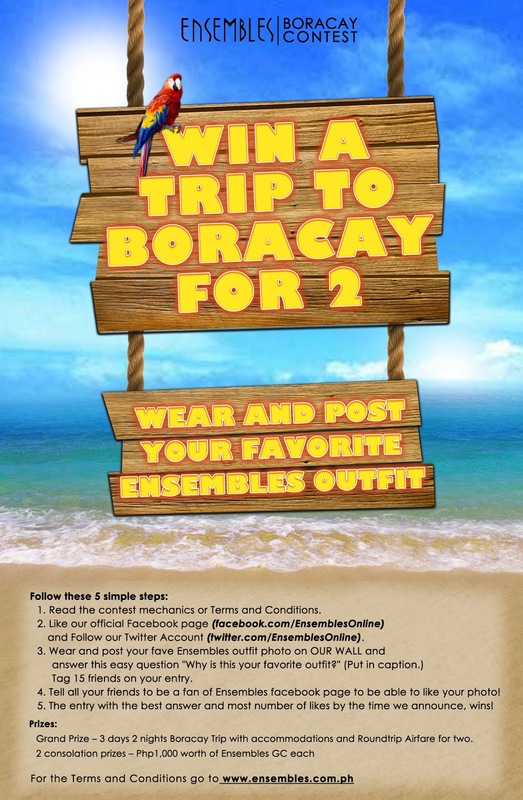 Visit their facebook page and www.ensembles.com.ph for full mechanics. Before I end this post, there's a new magazine in town that I need to share to you beauty lovers out there! 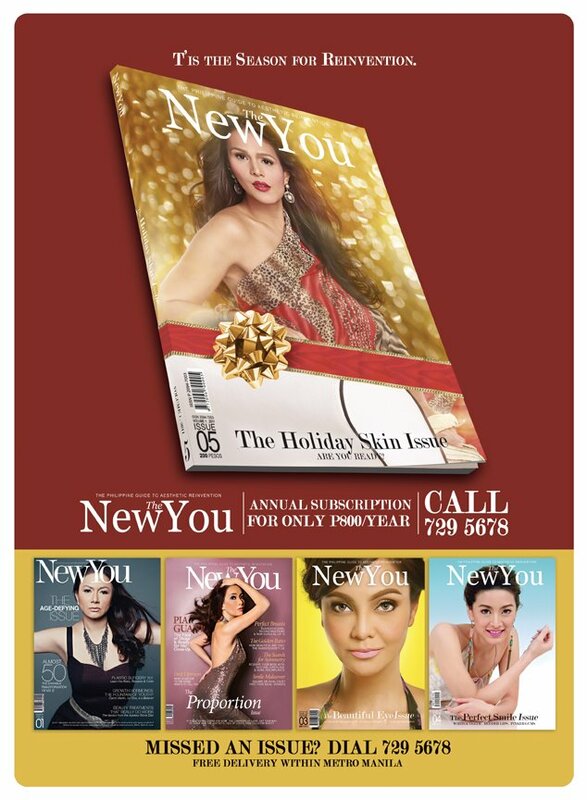 The New You is a quarterly guide to aesthetic medical tourism in the Philippines. The New You is conveniently divided into sections, presenting plastic and cosmetic surgery, non-invasive procedures, cosmetic dentistry, anti-aging products, vitamin and supplements and dermatological treatments. The New You is the only publication fit to introduce doctors, clinics and hospitals who compose the cornerstone of medical tourism. The New You actively promotes hotels. leisure, entertainment, destinations, and entertainment packages which complements Medical Tourism. Feel free to check out their site to see where you can find complimentary copies! Kindly email at subscription@thenewyou.ph for your order of the magazine. Please indicate your name, address and number of copies to be delivered.